A subject area that has always interested me in art is mythology. Several of my paintings relate to myths, either present or past. 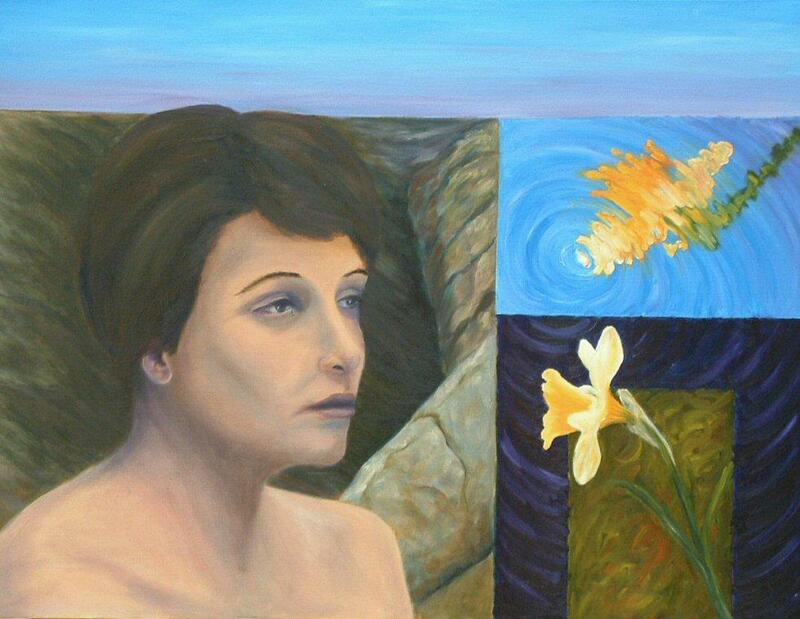 This painting relates to the story of Echo and Narcissus. It has an updated story board composition rather than the typical pastoral scenes of the 17th century painters. I have also used the golden mean as a compositional device to illustrate the myth that such mathematical excersizes were used extensively by artists.